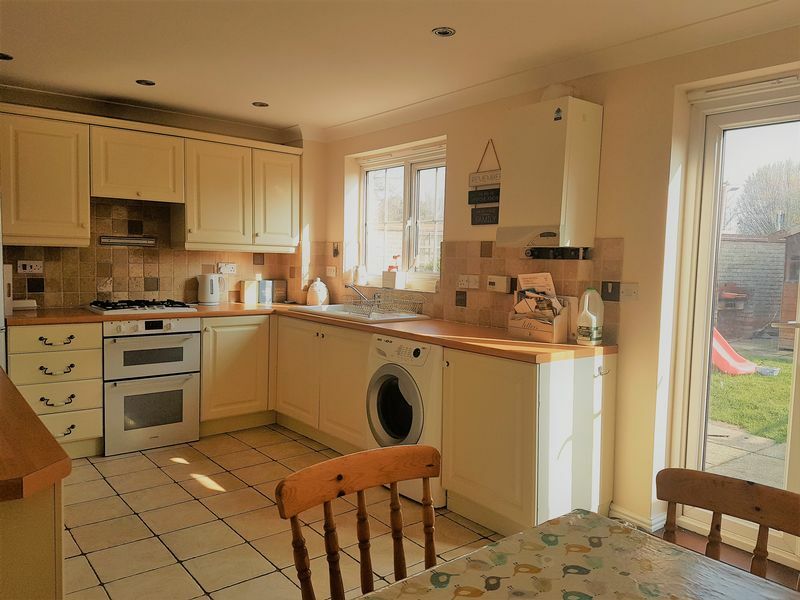 We are delighted to be assisting in the rental of this well presented property. Spread over three floors, this family home features a kitchen/diner, ground floor WC and garage on the ground floor, with two small double bedrooms, family bathroom and lounge on the first floor and located on the second floor, a large master bedroom with private en suite. 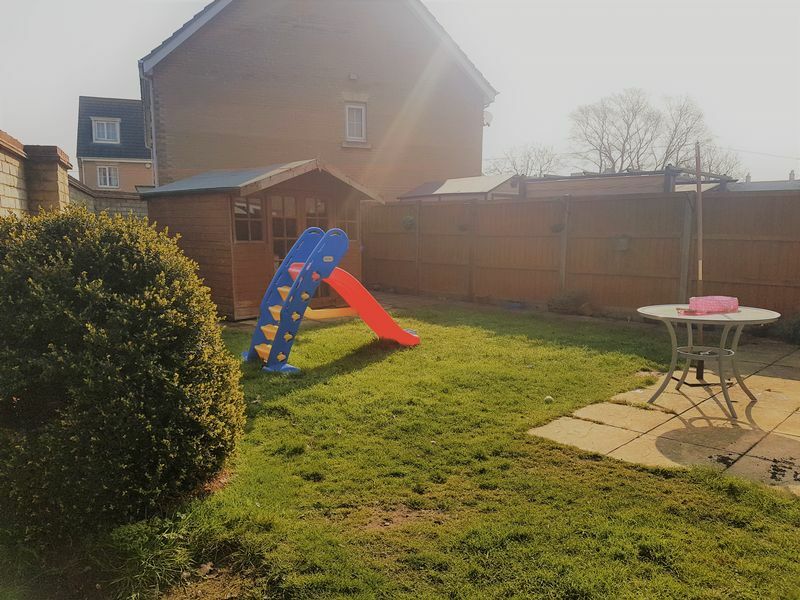 With off road parking to the front of the property and an enclosed rear garden, this house makes an ideal family home in a great location. Situated near the A1117, the towns of Lowestoft and Great Yarmouth are easily accessible. There are a range of amenities within reach including The Wherry Hotel, The Commodore, doctors surgery, a range of takeaways along with the well known Nicholas Everitt Park. Enter the property through the front door and arrive in your entrance hall. Featuring a fitted carpet, radiator with doors leading of into the ground floor WC, and kitchen/diner and a storage cupboard housing water tank. Stairs provide access to the floors above. 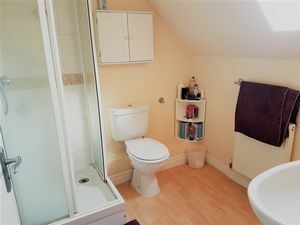 A handy ground floor WC featuring a low level WC, sink and frosted uPVC double glazed window. The kitchen/diner features a range of base and wall units with wood effect laminate worktop over. A double electric oven with gas hob is included as is a fridge freezer (left as a good will gesture). There is space an plumbing for a washing machine and a bowl-and-a-half sink with chrome mixer tap sits under the double glazed window which offers views into the rear garden. Double patio doors allow this room to bathe in lots of natural light. 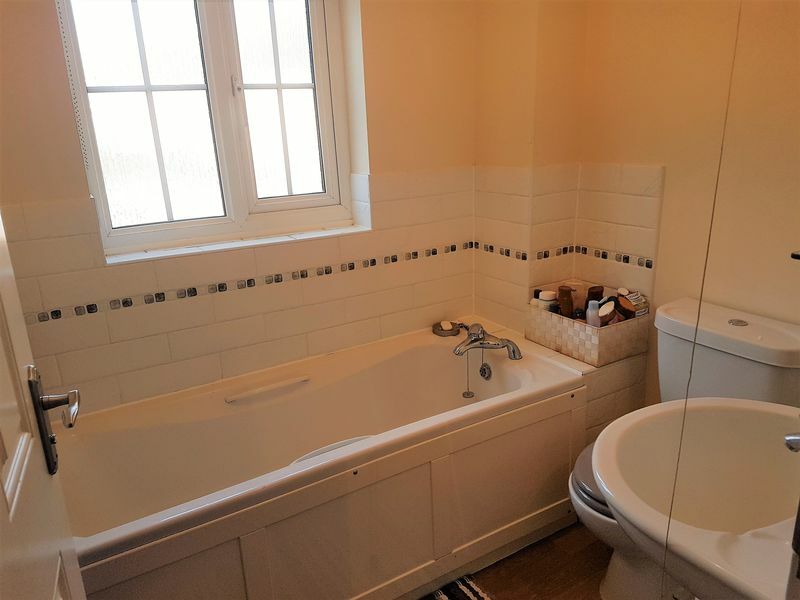 Situated off the landing and at the front of the property, the family bathroom features a white suite comprising of a full length panel bath with chrome mixer tap, pedestal sink, and a low level WC. 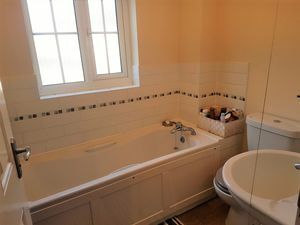 The walls are partially tiled providing splash backs. The lounge is situated to the front of the property and features two uPVC sealed unit double glazed windows. A radiator, TV, phone and power points also feature. The second bedroom could be used as a generous single room or small double, depending on your own requirements. A fitted carpet, radiator, power points features and a uPVC sealed unit double glazed window offers views into the rear garden. 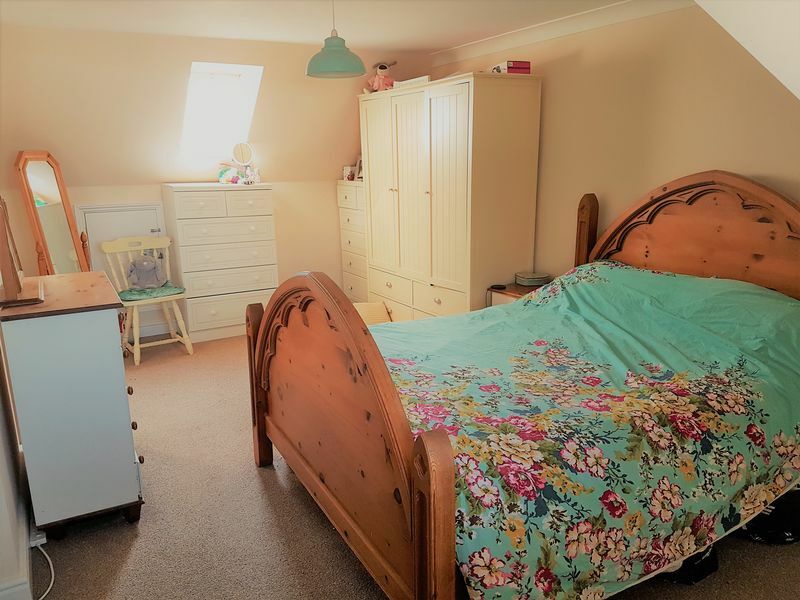 The third bedroom could be used as a generous single room or small double, depending on your own requirements. A fitted carpet, radiator, power points features and a uPVC sealed unit double glazed window offers views into the rear garden. Featuring a corner shower cubicle, low level WC, pedestal sink, radiator and skylight, complimented with wood effect flooring. To the front of the property, there is a driveway leading up to your garage and parking to the side of the property. To the rear, you will find an enclosed garden, mainly laid to lawn with a patio area suitable for al fresco dining and entertaining. 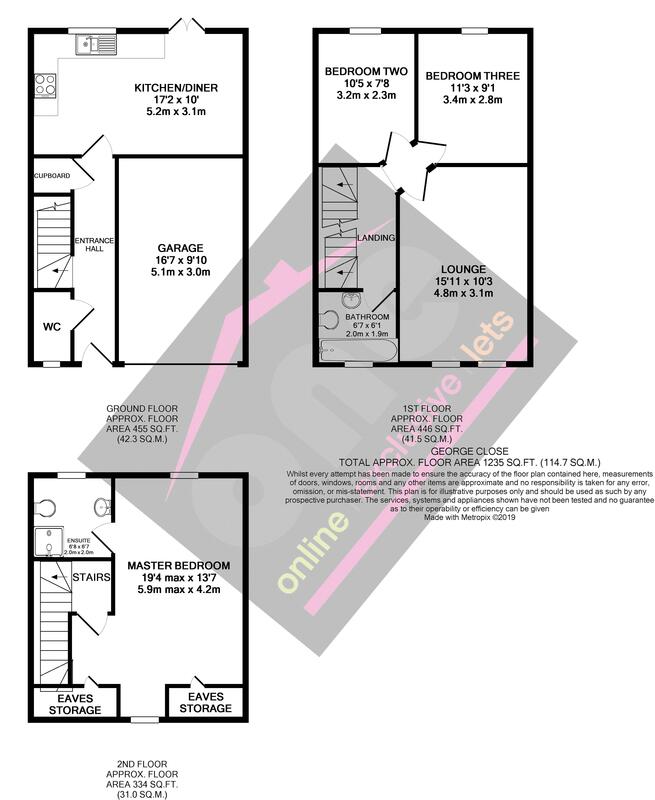 TENANCY: The property is offered on an assured 6 month shorthold letting agreement. RENT: £800.00 per month payable in advance. Tenant to pay for electricity, gas (if appropriate), council tax, water and sewage rates, telephone (if appropriate). DEPOSIT: In addition to paying the rent, the tenants are required to place a sum of £900.00 deposit with One Estates to be held by Tenancy Deposit Protection throughout the duration of the tenancy. On vacation, the deposit will be returned less any deduction from shortages of rent, damage or any items missing from the inventory. PETS: Pets will not be permitted by the landlord. Tenants with pets should enquire first to ascertain if the landlord will permit the pet to be kept at the property. In all cases where permission is given, the tenant will be required to pay a non-returnable deposit of £150 at the start of the tenancy. OCCUPATION: Applications for tenancy are subject to the approval of the owners of the property. Applications will be forwarded by One Estates, for approval, together with references received. PRE-TENANCY FEE: A non-refundable fee of £130 for first application (inclusive of VAT) and £80 for each additional applicant. Guarantor fee (if required) of £50 is payable to One Estates (UK) Ltd, before references can be taken up on behalf of the applicant. Tenants are required to provide names and addresses for three references, from a bank or building society, Employer and if possible, a previous landlord. ADMINISTRATION FEE: Tenants are also required to pay half the cost of preparing the agreement, and, if applicable, Inventory charge and check out fee. 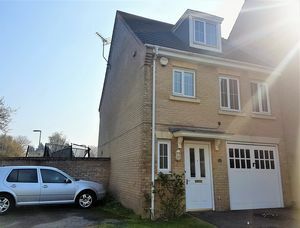 In respect to this property the cost will be £200 inclusive of VAT. Total: £1900.00 VIEWING: The property may be viewed by contacting One Estates, Beacon Innovation Centre, Camelot Road Gorleston, Norfolk, NR31 7RA. Telephone: 01493 658854 or 01502 733399.